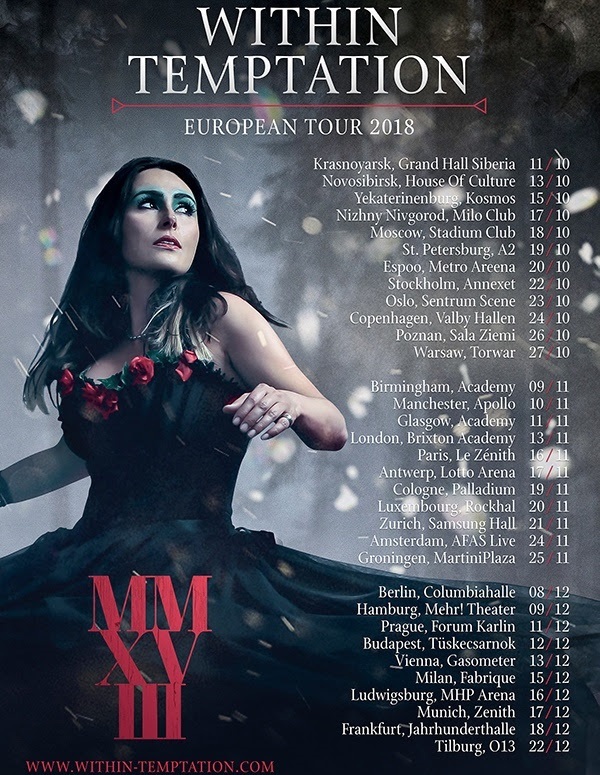 Dutch heavy rockers WITHIN TEMPTATION will embark on a European tour in the fall of 2018. The trek will take the band to 33 cities in 18 countries and will end the longest break WITHIN TEMPTATION has ever taken from touring. 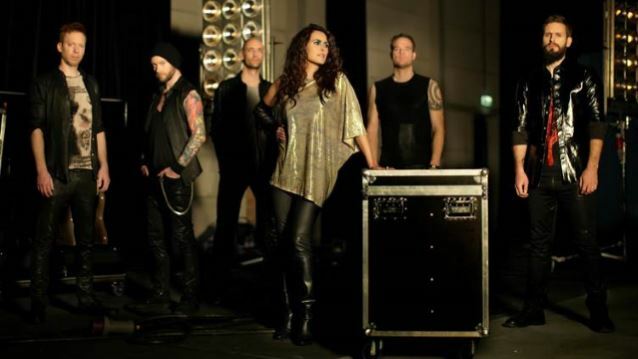 WITHIN TEMPTATION singer Sharon Den Adel explains: "When our last tour finished, I was having a rough time. I realized I needed take some time out with my family to deal with things and to rediscover myself. It took much longer than expected, but two years on, things have changed for the better. I created my solo album ('My Indigo') which helped me deal with my issues. And afterwards I suddenly found myself with an aching hunger again for more heavy, epic music. Then the music started to come by itself. I knew for sure that our seventh album was coming after all. "So here we are... presenting our seventh tour, and luckily it's not going to take so long anymore, because we are all more than impatient to get out there again!"